The Ruins of Lifta will be available on DVD April 2017. Lifta is the only Arab village abandoned in the 1948 Arab-Israeli war that has not been completely destroyed or repopulated by Jews. 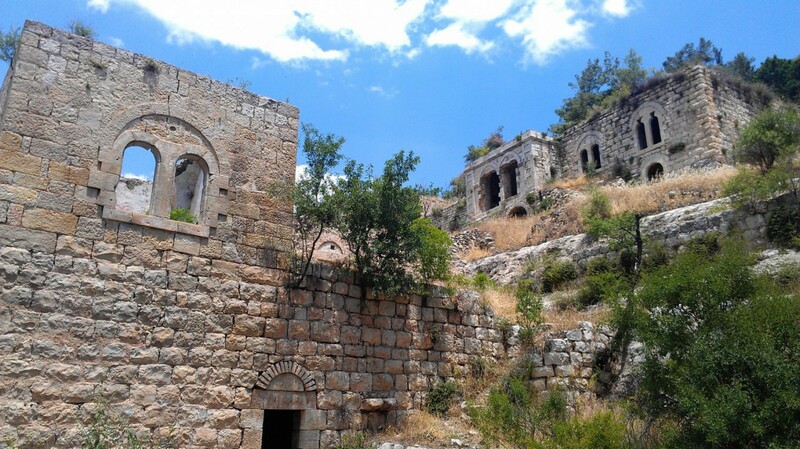 Its ruins are now threatened by an Israeli development plan that would convert it into an upscale Jewish neighborhood. Discovering that his parents’ Holocaust experiences may have distorted his views of the Israeli-Palestinian conflict, Menachem–the filmmaker and an Orthodox Jew from Brooklyn–sets out to establish a personal relationship with a Palestinian. He meets Yacoub, who was expelled from Lifta and now leads the struggle to save the haunting ruins of his village from Israeli plans to build luxury villas on the site. Learning that Lifta was once a place where Jews and Arabs got along, Menachem join’s Yacoub’s campaign in the hopes that Lifta can serve as a place of reflection and reconciliation. This sets up a climactic encounter between a Holocaust survivor and a Nakba refugee amidst the ruins of Lifta.